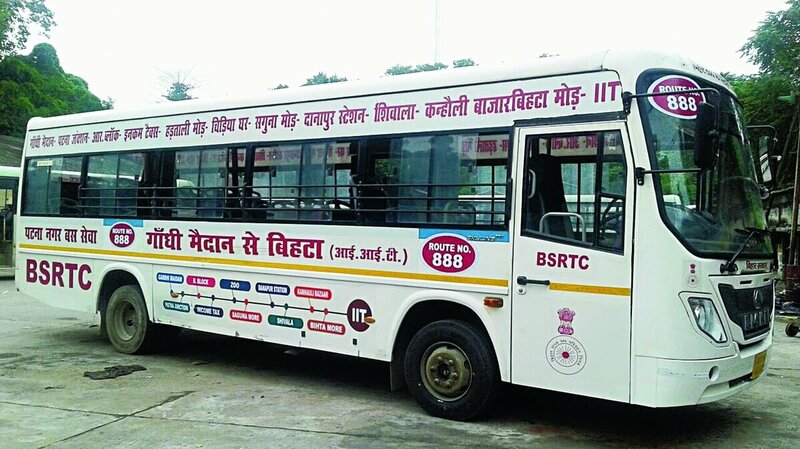 Bihar State Road Transport Corporation starts the interstate Bus Transportation Service. BSRTC Starts this service for different cities of Uttar Pradesh. There are a total of 6 routes where AC bus runs. Below we list out all those AC buses which run on these 6 routes. The Chief of BSRTC Sanjay Agrawal says the Bus service between Patna and Devariya, and Bhojpur and Varanashi start next weekend. Beside AC buses, officials also say the Bus service between Raxaul and Gorakhpur starts from Raxaul at 7:30 am and reach Gorakhpur via Gopalganj at 3:40 pm. The Bus service between Siwan and Gorakhpur starts at 3:40 am and it reaches Gorakhpur via Mirganj, Hathua, Bhore, and Devariya. Bus service between Motihari and Gorakhpur starts from Motihari at 1:05 pm. This bus takes a total of 5 hours to complete its Journey. Moreover, the second bus on this route starts at 9:15 am. This bus reaches Gorakhpur via Khajuria, Mahmadpur, Gopalganj, and Banjadi Mod. BSRTC also thinks to start bus service between Jharkhand, Delhi, and West Bengal.